Jazz up that tall glass of Bawls with these LED ice cubes! 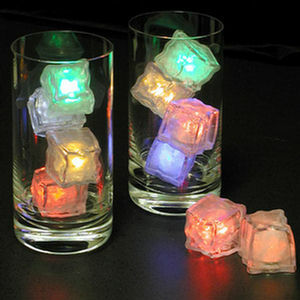 These liquid-activated ice cubes glow in assorted colors (each cube blinks in multiple different colors). Now your beverages can look as cool as your computer while staying cool! Put those crazy glow-stickers to shame at your next rave, without all the physical effort.